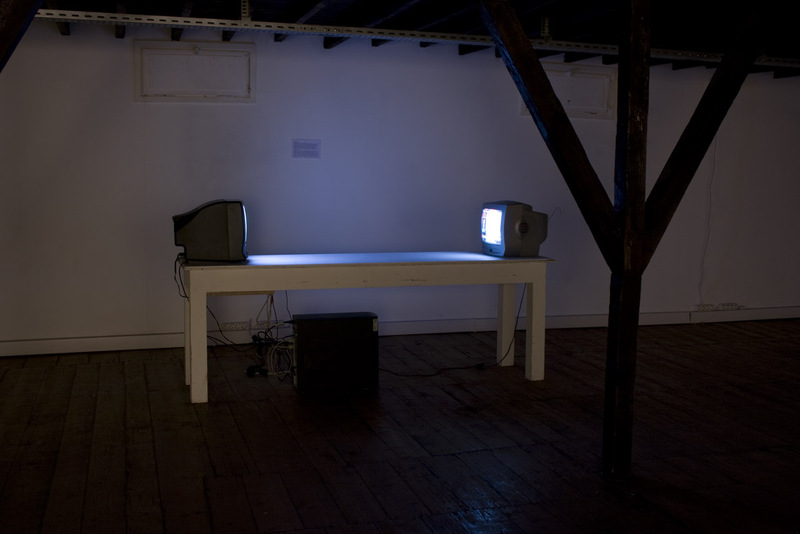 This installation consists of two television sets facing each other. 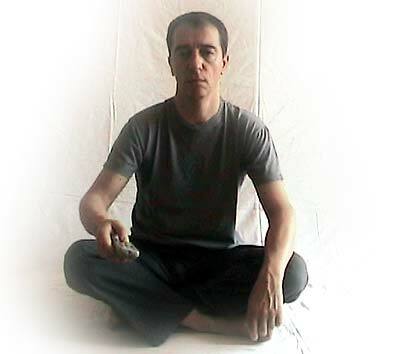 In one of the televisions, we see a man is sitting cross-legged on the floor and watching the other television while continuously zapping. This is a video fed by a computer connected to the television. The other television is receiving the current broadcast and changing channels while the man on the opposite television is zapping. 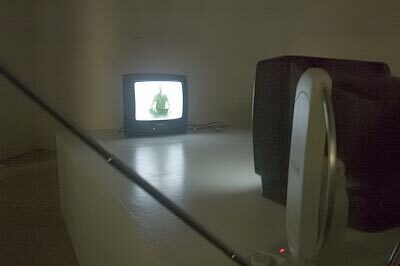 In this installation, I am interested in the notions of reality, image and interaction through the media. I like to force the viewer to ask questions on the real, the reality of the image and the interaction in today’s mediatized world. This installation interrogates the relation between the reality, the media and the viewer through the shift in time and space. 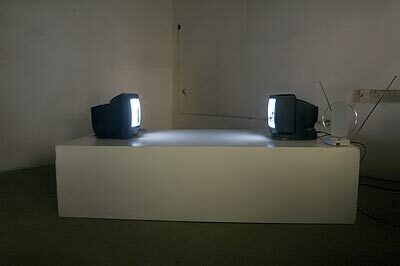 Two televisions that are looking at each other are in a meaningless relationship. This meaningless relationship is not much different then similar situations in our daily life. The image of the man in the television suggests that the media transforms its viewer and imprisons him in its own virtual domain. Although the fact that the man can still control the other television might prompt us to question the supposition of imprisonment, this is a meaningless interaction in which two devices are performing a human action through the representation of a human. 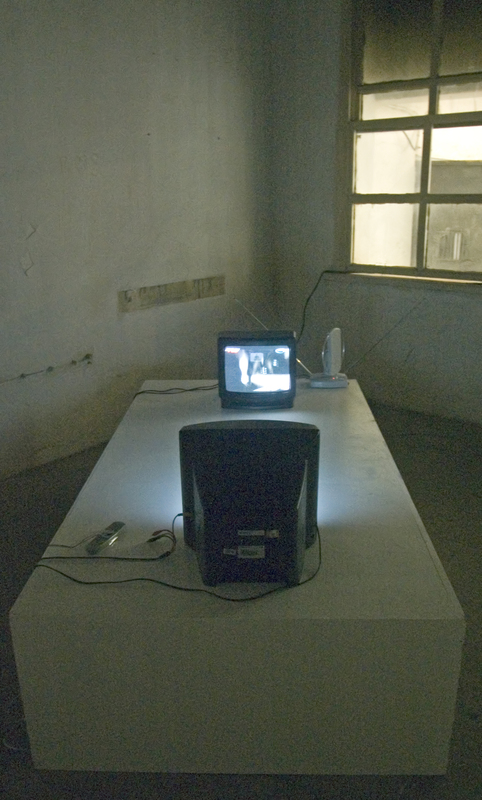 The representation of the viewer as an image or an image as the viewer inspires questions on the image of the broadcast on the other television.